If you a plumbing, heating, or air conditioning company in Pompton Lakes, NJ to solve your plumbing and HVAC problems, you are in luck. Rite Rate offers installations, repairs, replacements, and maintenance. We are available 24/7 so if you need a plumbing, cooling or heating company in Pompton Lakes, NJ, just call Rite Rate and we'll arrive quickly. We provide affordable repair and installation services without sacrificing on quality. At Rite Rate, we specialize in fixing all of your problems concerning your residential or commercial heating system. Is your hot water heater, boiler, or thermostat is not functioning properly? Just sit back and relax. Our company provides the best heating repairs in Pompton Lakes, NJ. We have a reliable team of technicians that will repair, replace, and install all makes and models of heaters. Rite Rate also offers oil to gas conversion services to help you lower your utility bills and your carbon footprint! Our team of skillful HVAC technicians will help you with any issue regarding your commercial or residential air conditioning system. If you're searching for an air conditioning company in Pompton Lakes, NJ that can help you out, just call Rite Rate. Whether you just need help installing your new air conditioner, have a serious AC issue that needs repair, or have decided to replace your air conditioner, we're here for you. You can also talk to us to schedule a regular maintenance to make sure that your air conditioning systems are working efficiently. From heat pumps to packaged air conditioning, Rite Rate can service any make or model! Clogged pipes and drains bring on a lot of stress, especially when your toilet, shower, and sinks are already affected. This can cause additional problems including flooding and water damage. If you're experiencing any of these and you need immediate help, don't hesitate to call Rite Rate. Our team of experienced plumbers provides plumbing repair, installations, and replacements. If you need to install a sump pump or frozen pipe repair, Rite Rate can handle all your plumbing needs! Call Rite Rate today if you need services such as toilet installation, air conditioning maintenance, or heating repair in Pompton Lakes, NJ! 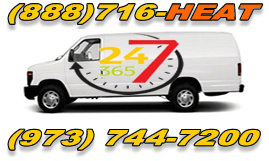 Our affordable 24/7 plumbing, heating, and air conditioning services won’t disappoint!